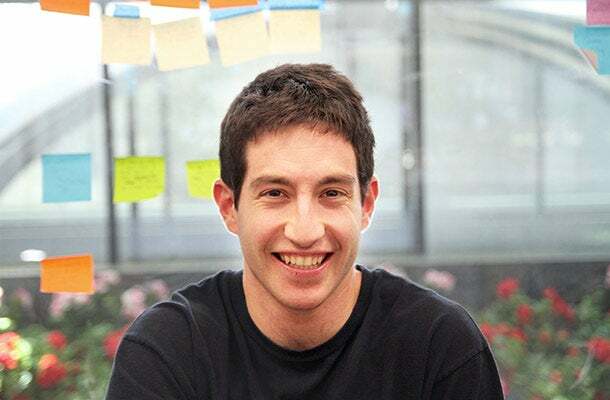 As one of the co-founders of Timeful, a free iPhone app that syncs with your calendar and uses machine learning, big data and behavioral science to optimize time management, Shoham believes that’s about to change. 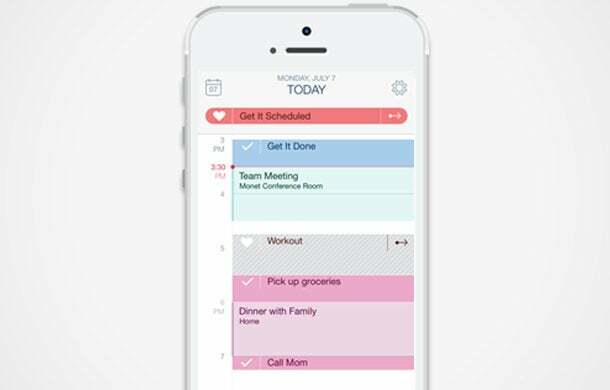 Timeful launches today, available for download in the Apple App Store. The app is not yet available for Android. Despite a lack of concrete details about how Timeful actually works, rumors about the app have been swirling for some time now, in part because of the collective experience and expertise of its founders who, besides Shoham , include Dan Ariely, a notable behavioral economist, and Jacob Bank, the company's CEO and a computer science PhD candidate at Stanford. As pre-launch buzz goes, it also didn't hurt that in May, the startup announced it had raised $6.8 million in Series A funding from big name VC firms including Khosla Ventures, Kleiner Perkins Caufield & Byers, Greylock, and Ashton Kutcher’s A-Grade Investments. But what, exactly, does the app do? "You tell Timeful things that you need to do, and it finds you time to do them," Bank says. More specifically, the app takes the sophisticated algorithm-style learning that is already used to predict what song you'd like to listen next (Pandora), what item you'd like to see in your shopping cart (Amazon) or how much money you typically spend on movies and entertainment in a given month (Mint), and applies it to time management. To accurately do this, the app first needs a complete picture of everything you want to accomplish, not simply events with a start and end time, but also long-term goals (such as planning a wedding), desired habits (exercise three times a week), social commitments (call mom), and to-do list/errand style items (laundry, grocery shopping). Because if you want to use your time productively, says Shoham, "you first have to see all the things that are vying for it." Even when you do have an exhaustive to-do list in front of you, creating an optimally productive schedule remains a tricky exercise. "Algorithms have a hard time with it. Humans fail at it; it's too computationally hard." Related: Distracted and Overwhelmed Employees Are Costing You Big. Try These 3 Fixes. Timeful is meant to crack the optimization equation for you. The app, which functions like a traditional calendar in that it allows you to schedule events with a clear start and end time, also recommends optimal slots for less temporally concrete activities. Let's say you have a block of free time between 6 p.m. and 8 p.m. on Monday, and you've told the app that you need to go grocery shopping and would like to cook at least twice in the next seven days; Timeful may recommend that you use the window to hit the supermarket and make dinner, in which case a box with that suggestion will appear above the calendar. The proposed time can either be accepted, in which case it will appear on your calendar, modified (perhaps you'd like to go the grocery store at 7 p.m.) or rejected, in which case an alternative suggested time-slot will pop-up again later in the week. When you're first starting out on the app, Timeful makes suggestions based on averages, such as the fact that statistically, individuals are most productive in the morning and more like to exercise relatively early or late in the day. "As you enter more data in the system, however, your personal patterns come to dominate our recommendations," says Bank. Like Pandora, "the system learns from what I've accepted and rejected, and will make better suggestions over time." Are Shoham and Bank worried that users will be too ambitious in their scheduling and then grow overwhelmed by the slew of suggestions that pop up over the course of a day? While Bank insists that Timeful was created to avoid becoming a "list of shame," it's an easy emotion to imagine users feeling, especially because the app strives to hold them accountable. Let's say you've told the app that you want to work out three times within the upcoming week; four days go by, and you've yet to hit the gym once. At least once a day for the next three days, the app will suggest a time for you to go excercise. "If you don't like it, change your habits," Shoham says, although Bank counters that the app's laser focus on nuance -- it will rarely tell you to work out twice in a day, and tries to factor in activities that can be done simultaneously, such as laundry and reading – stops users from getting bombarded with too many suggestions. In the end, the app wants to parse out, and help you achieve, as many of your intended actions as possible, by providing you with the necessary tools to make smart scheduling decisions. “In this century we are all buys executives, but we don’t all have executive assistants, Shoham says. "In many areas of life, big data has become essential. I think we're now at the point where we can apply it to time. It’s too important a topic to leave unaided by technology."